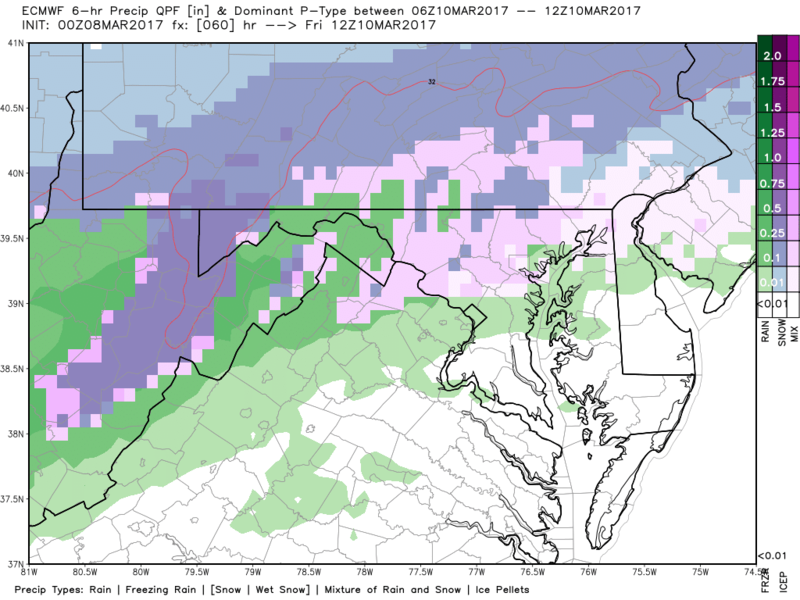 An arctic front will approach the DC Area on Friday morning, touching off some rain, sleet and snow with any accumulation remaining along the Pennsylvania-Maryland border. Image below is for Friday 7am (pink represents sleet or a mix of rain and snow). 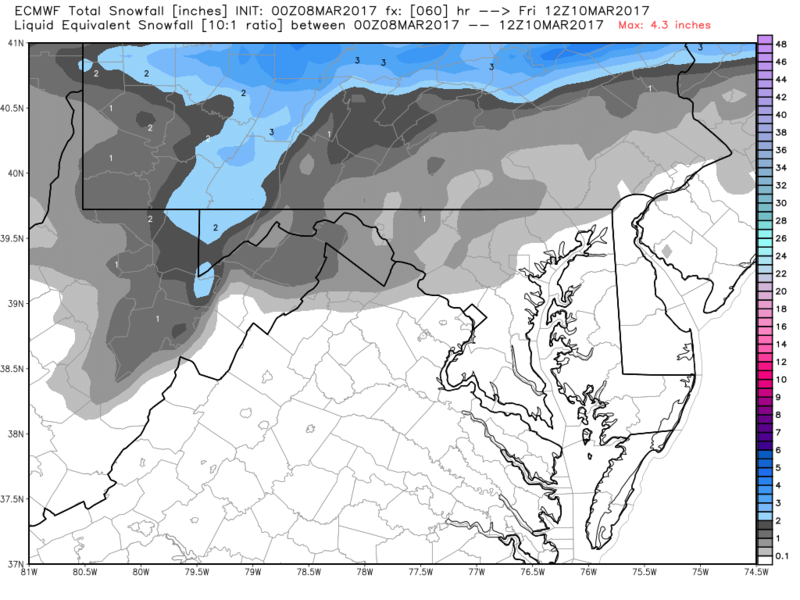 So between Friday and Sunday (don’t cancel your plans), the broken record Winter of 2017 “Washington DC Snow Hole” Continues… look at that beautiful “white zone of dead ugly grass and barren trees” (the kind of weather that half of the people in our region just love during winter) add in some dreary clouds and you get the picture. I have to wonder if the top of the Washington Monument has some aluminum foil high-tech weather-controlling machine that keeps the 30 mile radius of DC protected from those “horrible” beautiful flakes of snow. 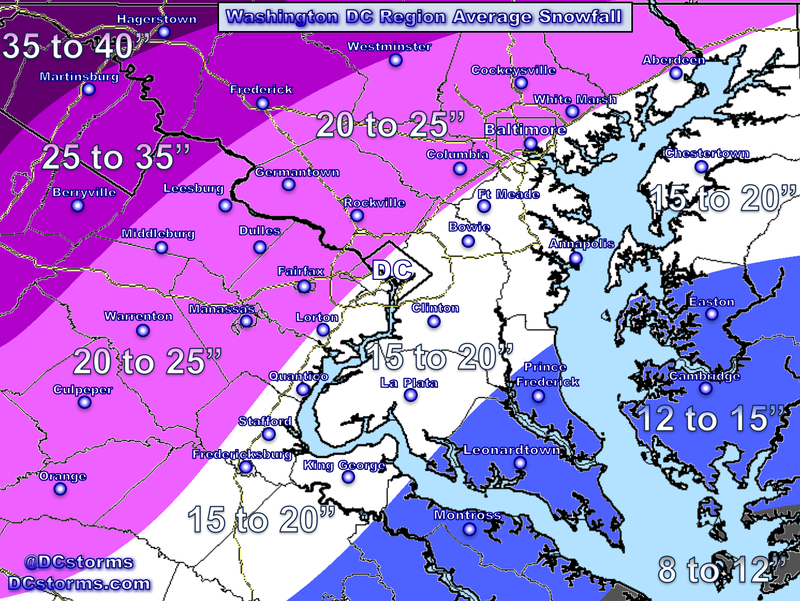 Call your congresswoman or congressman … maybe the folks at the NWS have an answer. The most lift (rising air) in a trough is going to be located in the right-front quadrant (circled in red below) and this is the area where you look for the surface low pressure system to develop. 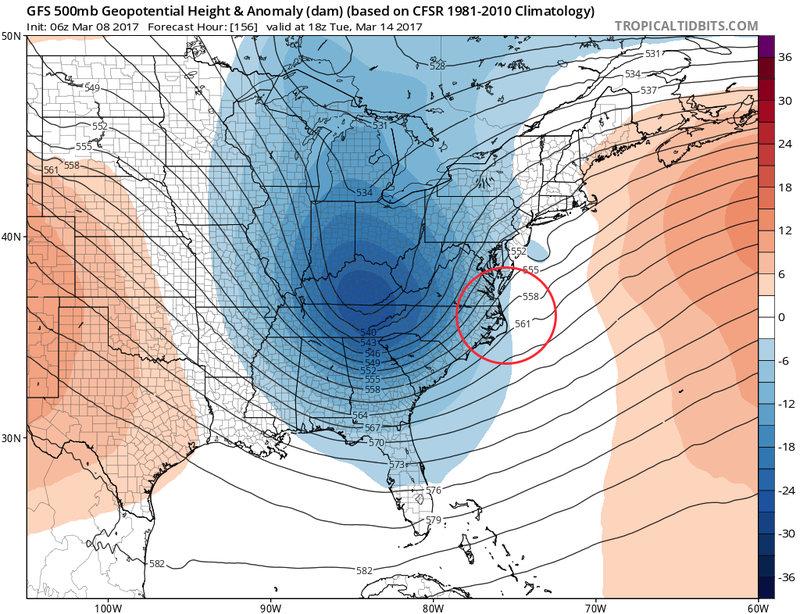 –Latest operational GFS model (this is not an ensemble) but it drives home my point that the upper-level pattern shaping up early next week is favorable for explosive coastal storm development. 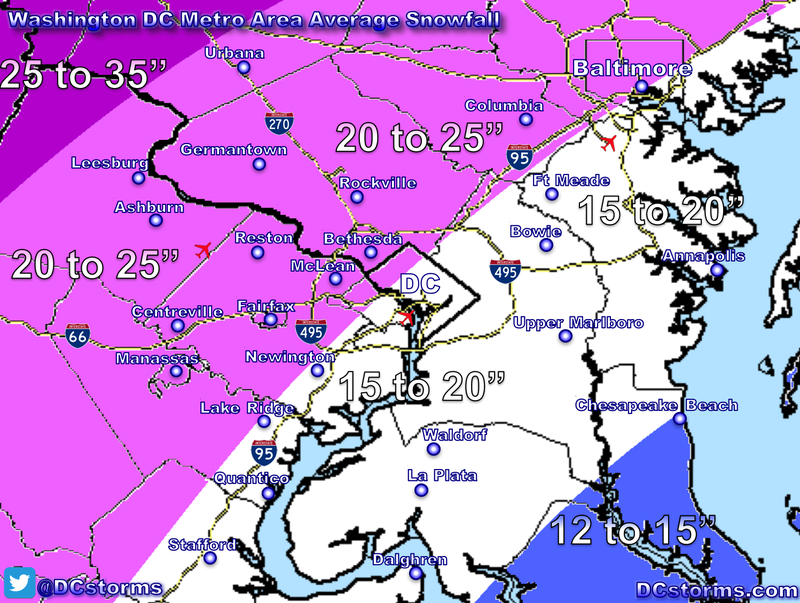 So there you have it… according to the latest models, the Washington Area continues to get shafted through the weekend (unless tomorrow’s operational models start to inch back to the north with track) and then we wait to see where a surface low pressure develops on Monday into Tuesday of next week. 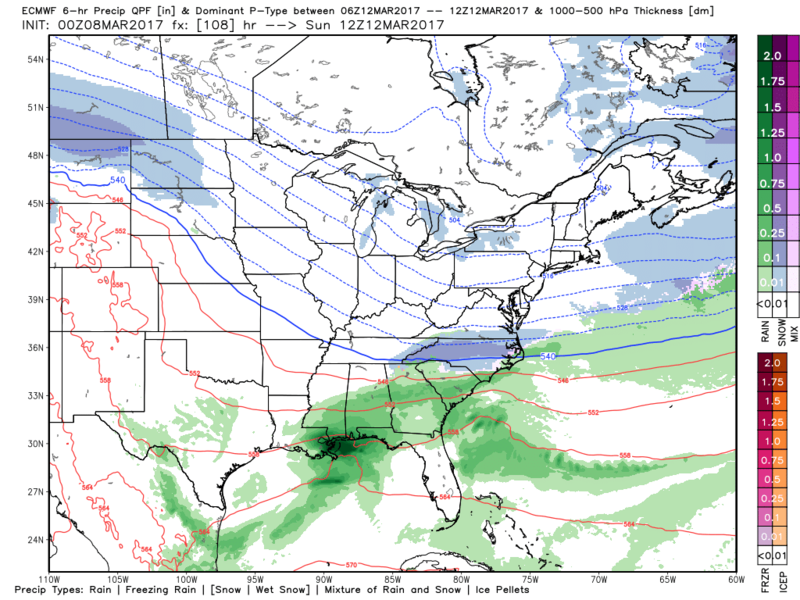 – Hint: With our luck of late, it will probably develop, rapidly deepen but be just too far east of DC to provide snow… and then slam NYC to Boston (eye-roll). 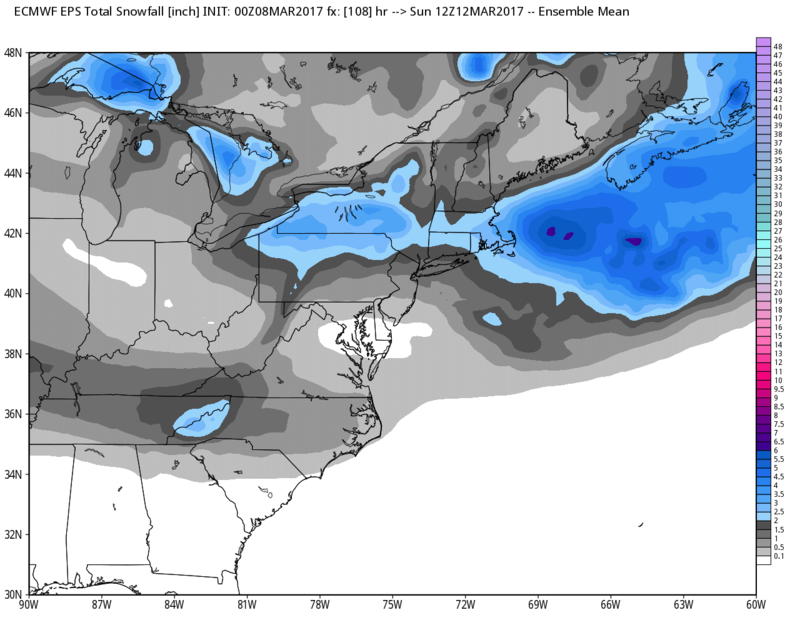 Previous Post Previous post:While All Eyes are on the Weekend… I’m More Interested in March 13th – 15th! 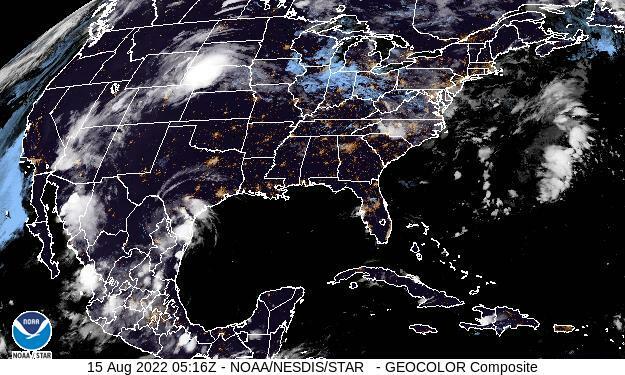 I just knew the weekend storm would be a bust. That’s how this whole winter has been! 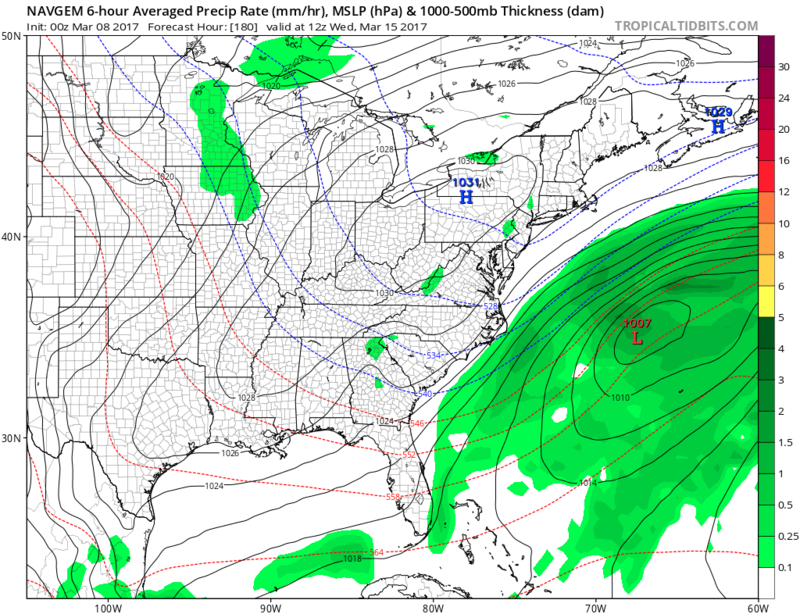 The storm next week looks very interesting and most models showing it makes me want to watch. 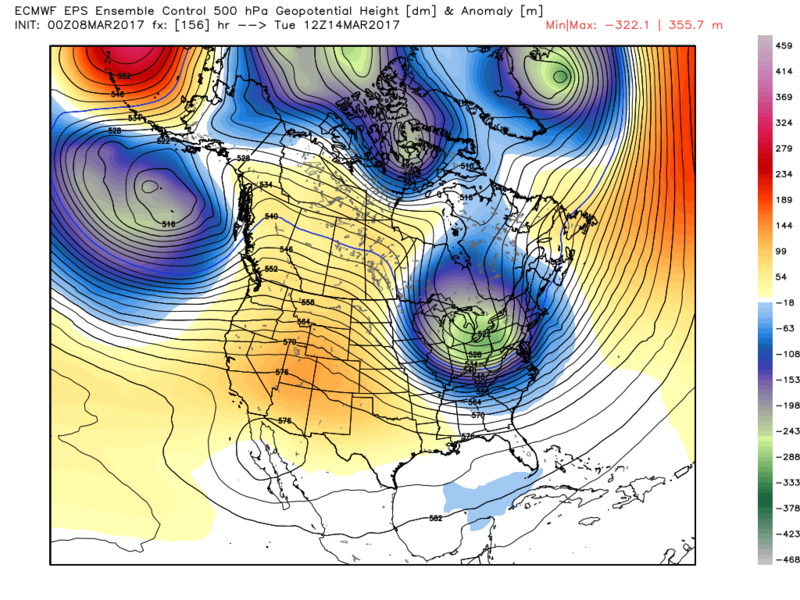 Just look at the blocking to our north, if this holds stlong, we would be digging out. I’ll keep putting faish! Keep up the work!